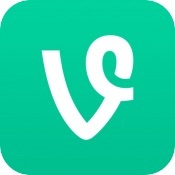 After Twitter discontinued the original Vine service in 2016 and transitioned it into “Vine Camera,” Vine co-founder Dom Hoffman said he was developing “a follow-up to Vine” that would serve as a sort of Vine 2 app. Hoffman didn’t provide much info on the second-generation Vine app, but he did say that it was self-funded and would be released at some point in 2018. It doesn’t look like that’s going to happen, though, as Hoffman today announced that the Vine 2 project has been postponed for an “indefinite amount of time” citing legal and financial reasons. Vine 2, he says, will not work as a personally funded project and it needs to operate as a company with “sizable external funding,” which he does not have the resources to start up at this time due to his work on Interspace and Byte. The code and ideas still exist, but until everything else comes together, we can’t move forward. Again, this is indefinite, which means that it could take a long time. But it’s necessary. I’m very, very sorry for the disappointment. If it’s any consolation, I think it would have been even more disappointing if this service had been developed and released incorrectly, which is where we were headed. I’d like for us to get it right.